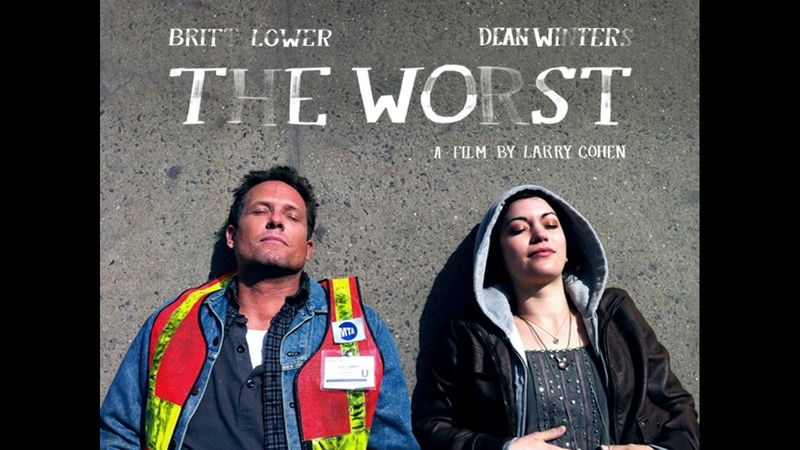 Larry Cohen puts into fruition a must-see action thriller titled The Worst. Spanning over 15 minutes, the short film has already gained attention from the festival circuit as official selections to the recent Palm Springs Int’l ShortFest and Montclair Film Festival. It stars 30 Rock-cast Dean Winters and young stunner Britt Lower. Ryan (Britt Lower), a depressed young woman, leaves everything behind in the F train during a moment of indecision. Desperate, she turns to Nick (Dean Winters), an off-duty MTA worker who’s willing to bend the rules to bring back Ryan’s belongings. Follow the two strangers as they enter a whirlwind chase to get Ryan’s luggage back and at the process heal herself. There is a fine line between making an exciting film and a boring one. In The Worst, the writer/director Larry Cohen must be commended to the short yet hooking dialogue that sounded flawless and natural. Britt Lower’s acting as an unhappy, lifeless woman who tends to have a chill, i-don’t-care attitude was really convincing while Dean Winters’ zesty performance gave spine and spice to the story. The two characters complement each other, creating a chemistry that’s both intriguing and entertaining. In this film, the audience is treated to a compelling ride that combines action and drama. With sleek performances from veteran actors and top-notch direction, The Worst is a testament to the thriving indie film scene.